Tasted at Bordeaux Index's "10-Year On" tasting in London. 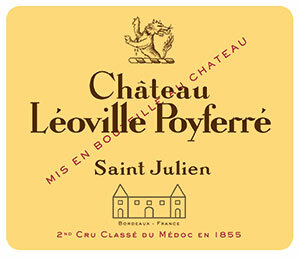 The Poyferre -03 offers an exuberant bouquet that is clearly more ostentatious and perhaps vigorous than the Barton - black cherries, cassis, a hint of Bovril and bay leaf. The palate is medium-bodied with ripe and grippy but succulent tannins. There are layers of black toasty fruit infused with white pepper, cedar and graphite. The finish is nicely composed and is becoming more -classic- in style compared to previous encounters. This is promising - watch out for this in five years time. Tasted March 2013.